Craftster Community > CITY GUIDES FOR CRAFTSTERS > CANADA > British Columbia > Japanese crafts class? Is there any Japanese Crafts class held in Greater Vancouver (Canada)? 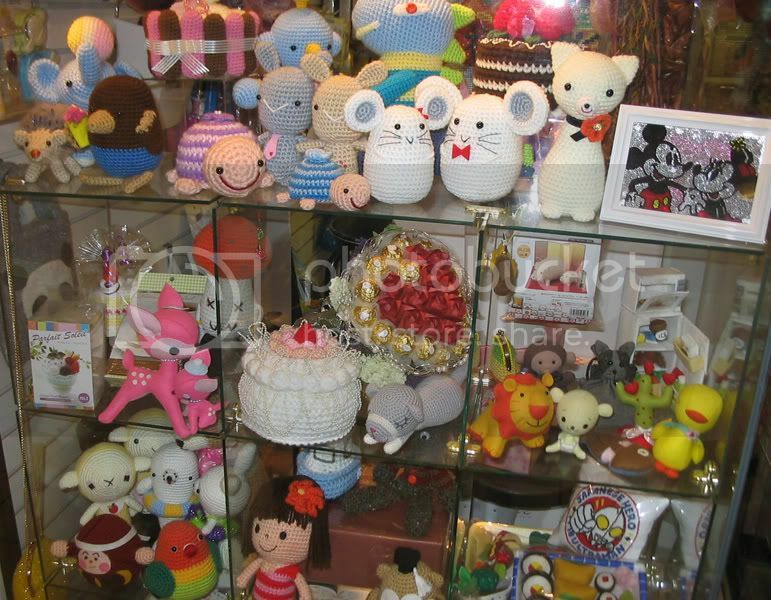 I like Japanese Crafts, they are so neat and cute. I saw some books, but I realize that, many of the books, you need to have basic skills, in order to understands. Also, I don't understand Japanese (only some kanji) so that make it harder too. I've been searching online for Japanese cultural-related center, and also VSB, etc, but find nothing. Edit: I searched the Nikkei center, they only have calligraphy, paper tearing art, and card making. Their card making class is a bit pricy for my budget. I'd like to learn some fabric crafts. Since for fabric crafts, I can buy them in Daiso or other fabric stores. I am also interesting to know if there are other types of crafts class too, not just fabric crafts. i don't know of specific classes, but there is a japanese craft store in yaohann centre in richmond (it's the big mall about half a block away from daiso). they seem to be fairly pricey, but they sell kits and stuff like that, so they might be a good place to start. most japanese craft books and kits are very image based, and you can figure out a lot of it without being able to read them. i went there the other day for the first time in years, and the staff did speak english, so they'd be able to help you with the parts you didn't understand. i want to say it's called alpha crafts, but i really don't remember for sure! however, it's on the top floor, in the corner, over by the bookstore (which also has quite a lot of cool japanese craft books, shelved under the subject "knitting". i got a beautiful crochet book, and the cutest embroidery book the other day!). i took a picture of the craft store display, just cause it was so darn cute! Thanks. Yes, I know that mall, that craft store and that book store. I am not sure what the crafts store teach, I know they teach knitting. Not sure if they teach other things. I went to that book store before. Yes, some Japaneses crafts books are very graphic. BEFORE buying the books coz they are not $cheap$. p.s Thanx for the picture, those knitting dolls are cute. I like the lovebird (at the lower right corner), coz I have a "live" lovebird at home. At this stage, I am interested into buying those knitting dolls, instead of making them. But maybe someday I will want to learn how to make them. you may want to learn the specific craft skills in english, before trying to learn them in japanese. if you were to learn crochet or knitting at an english class, after a while you'd have enough knowledge to figure out the japanese instructions. Thank you for the tips on the knitting dolls. What about other crafts? such as those Japanese fabric crafts, and those Japanese style quilts? And other types of Japanese crafts? I tried modelling clay, I think it takes "that" clay, with "that" personality to make it work. I don't know about classes but I just took this book out of the library that was all about Japaneses fabric wrapping , it was called: Wrapagami: The Art of Fabric Gift Wraps by Jennifer Playford. http://www.amazon.ca/Wrapagami-The-Fabric-Gift-Wraps/dp/0312566670, I thought if you haven't read it already you might find it interesting/inspiring.